Long-awaited reissue of the first part of the classic spy trilogy, Game, Set, and Match, when the Berlin Wall divided not just a city but a world. East is East and West is West - and they meet in Berlin. He was the best source the Department ever had, but now he desperately wanted to come over the Wall. ‘Brahms Four' was certain a high-ranking mole was set to betray him. There was only one Englishman he trusted any more: someone from the old days.So they decided to put Bernard Samson back into the field after five sedentary years of flying a desk. The field is Berlin. The game is as baffling, treacherous and lethal as ever. Would you consider the audio edition of Berlin Game to be better than the print version? Yes, given the masterful narration that captures the nuances of British class differences and the German of the Berlin characters. Bernard and Werner remembering their schoolboy days in the ruins of Berlin post WW II. And, inevitably the dramatic scene where Bernard at last confronts the traitor within his unit. This is the opening volume of a nine book series featuring British agent Bernard Sampson, collectively the greatest set of spy novels ever written. I hope that Audible will quickly produce the next eight so that a new generation of listeners can enjoy these great books. Highly recommended. Absolutely. And I just did. One of the better readers and audiobooks available. Great story, compelling and believable characters and a THEME that is timeless - Individualism. Something that both political parties in the US and England have forgotten. But with the rise of Russian totalitarianism and Islamic terrorism...well...this book is a must read. What was one of the most memorable moments of Berlin Game? The ending. Which will we not disclose as other have done on audible. What a silly question to ask. Like John Le Carre but more sarcastic, witty, not quite as heavy handed or brilliant but thankfully, superior in philosophical outlook as compared with Le Carre's recent ideological turn. 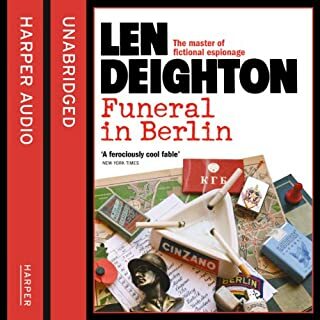 Where does Berlin Game rank among all the audiobooks you’ve listened to so far? 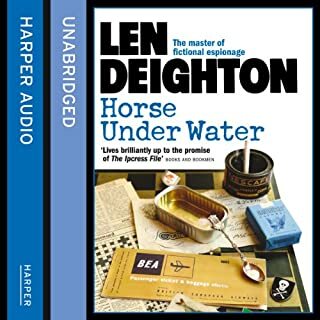 After reading 'Spy Line' by the same author, I wish there was an option to listen to more books written by Len Deighton. In the world of "written books", the stunning abundance and over supply, results in "mass production & mediocrity", thus making the author of these books a delightful find. Highly recommended. This is a great production of a great spy book. I really enjoyed it having read the books many years ago. Just don't get hooked. Due to the stupid publishing rules you can't buy the rest of the trilogy Mexico Set and London Match. Just as stupidly you can buy one or two books from the follow up trilogies, but not the complete set. I would willingly buy them. I'm just disappointed that Audible allows only a sampling of some classic British spy novels. I have read and listen to the Game Set Match series multiple times and even when I know the plot I delight in the construction and details of the characters and story. This may be too slow for some but I find that its rich setting and characters part too quickly. Recommended! Deighton is the Master Spy. My favorite book and I own all of the Bernard Samson's books. You can almost be in Berlin seeing it as it was before the wall came tumbling down. If you are a fan of the tangled web type of spy novel, you will probably greatly enjoy Berlin Game. A spy novel for the intelligencia. What did you love best about Berlin Game? It was the antithesis of James Bond type shoot-em up style spy novel. This is a more realistic version of the cold war and the men and women who risked their lives in defense of their country. This British espionage thriller released in 1983 is typical of the novels by John le Carré and Lee Deighton. 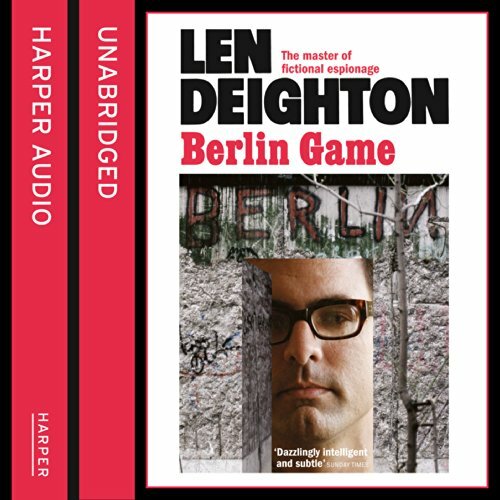 Berlin Game is the first in the Bernard Samson series written by Deighton. It is quite good, but is very dated. With so many contemporary and topical espionage thrillers being released today I see little reason to be interested in such authors as le Carré and Deighton: their novels are excellent but are not classics. Loved it. The detail with which he tells the story can be described in no other way than pure genius. Now I want the rest! Given that this book is 30 years old, you are probably only reading this if you are a fan, or want to revisit the novel in audible format. Well the news is good, a it is still as good as the first time you read it. What does James Lailey bring to the story that you wouldn’t experience if you had only read the book? Lailey does a great job of reading this story. For me his voice fits Samson wonderfully and he can actually read what it put in front of him and make it sound convincing. His performance in this story is up there with a Longworth or a Rintoul. There are a few wonderful moments that brought a smile to my face. The first of three of three (1) Game, Set, Match (2) Hook, Line, Sinker (3) Faith, Hope, Charity, hopefully audible will see sense and release all 9, or at the bareset minimum the first three, because although the story is compartmentalised it is best as a trilogy. 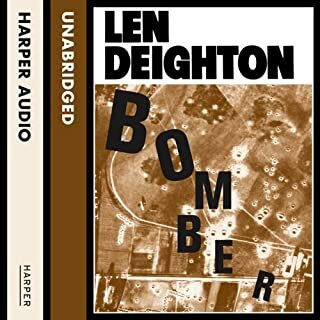 I had forgotten just how good a writer Len Deighton is. In my view he is a much better read than Le Carre. The stories are compelling and utterly addictive, the characters are well drawn and sympathetic and he avoids Le Carre's distracting historical and political diversions. The books are brilliantly read by James Lailey. Once started on Berlin Game you are locked into the whole 9 volumes. I can't wait for the remaining volumes in the series. I think he sort of impersonates Michael Caine in a subtle way and it works ! I even really enjoyed the author's note (much later) at the end. What made the experience of listening to Berlin Game the most enjoyable? A brilliant story well read. It's well written, exciting and has subtlety and humour. Have you listened to any of James Lailey’s other performances? How does this one compare? The reading is excellent. 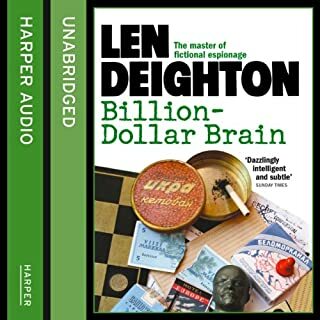 I have only heard James Lailey read other Len Deighton books. In the Ipcress File and Horse Under Water he uses a hint of Michael Caine which is entertaining. This one is more straightforward. Had struggled to get started on the printed version. Audio book bought it alive and I'm now reading Mexico Set. A good introduction to a Master Storyteller! A more then plausible plot in a period I remember so well.... ... ... .. I was one of Deighton's cult following in the 80's, eagerly awaiting his next Bernard Samson novels. Experience has shown that revisiting past books can be very disappointing . Not so here. Real page turn. Pre dating La Carre and a little more accessible I think. Good writing, interesting well constructed characters and a fine narration. Loved it and heading for Set and Match and . . . Hook, Line,Sinker and . . . . . Faith . . . . This was my first experience of Deighton. I will definitely be coming back for more. What did you like most about Berlin Game? A classic 70's / 80's cold war thriller - a good balance between complexity and simplicity. I liked Bernard as a character - distinct from LDs other famous spy "Harry Palmer". Some nice satirical swipes at the Oxbridge establishment, too. 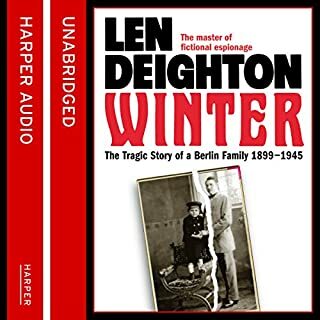 Would you be willing to try another book from Len Deighton? Why or why not? Having read all the Samson books many years ago and listened to the Paul Daneman readings I was initially a bit disappointed in James Lailey's narration but I have to say that by the end of the book he had convinced me. I still feel that both Lailey and Daneman should have given Bernard Samson a more proletarian accent and Lailey's women are not totally convincing. Nevertheless I am hooked and will finish the trilogy. 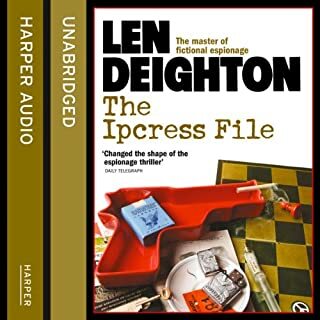 Deighton's writing is as good as ever - he and John le Carré have turned the spy genre into an art form. I don't think I really need to say much more than this is a great spy novel by an author known for this genre. You're in good hands with this one. It's well written, well performed and an intelligent story.